THE FRENCH and English clubs have fallen by the wayside in this season’s Heineken Cup, so Twickenham will play host to the first all-Irish final on Saturday afternoon. Leinster are bidding for their third title in four years and hope to become the first team since Leicester to win back-to-back Heineken Cup titles, while Ulster are hoping to be crowned European champions for the second time having triumphed back in 1999. Leinster have one of the most lethal attacking games in world rugby, with all 15 players on the pitch quality passers of the ball and talents who can cut split defences with their footwork and running lines. Rob Kearney is the most dangerous attacking player in Europe right now according to the Amlin Opta Index, which ranks players’ performances throughout the campaign. He’s made 740 metres from 91 carries – and the try he created against Clermont Auvergne in the semi-finals means Ulster will be keeping a close eye on him. In contrast, a solid defence coupled with Ruan Pienaar’s unerring boot have provided the basis for Ulster’s successful run. They have five of the top ranked defensive players in Europe and the return of Chris Henry and John Afoa to the side will only strengthen this area of the game. 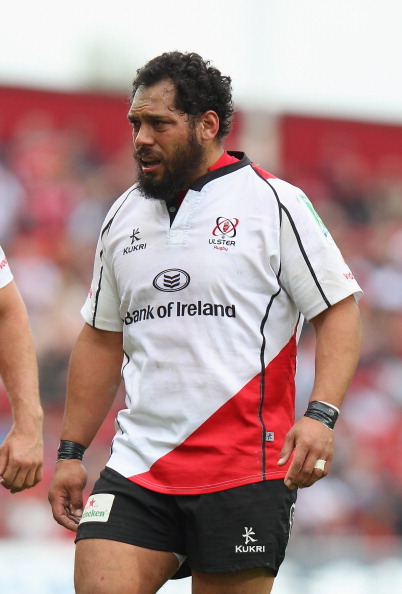 Afoa has an uncanny ability to shore up Ulster’s defensive line around the contact area, so if opponents cut back inside the prop is often there to grind their run to a halt. Henry may not get as many headlines as his big-hitting team-mate Stephen Ferris, but he is a great tackler who also has a knack of slowing the ball down. It is worth noting here, however, that Leinster are no slouches in defence either; they haven’t conceded a try in their last three Heineken Cup games and are an unbeaten in 14 European matches. One area where Leinster have wobbled this season is in the lineout whereas Ulster have the best lineout stats in Europe, with Johann Muller and Rory Best keeping the side’s set-piece shipshape. Best & Co are sure to be targeting this area and will want to apply as much pressure as possible on the Leinster forwards. Starve the Dubliners of decent first-phase possession of the lineout and their back-line will have less time and space with which to weave their magic spells. 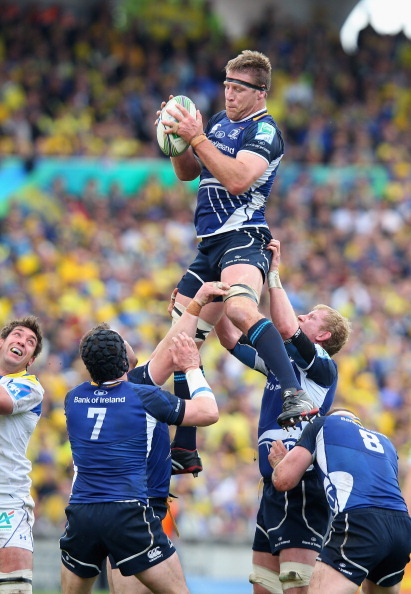 This is something Leinster have in spades – that much was clear from their hard-fought victory in Clermont. Take Brad Thorn, for example; he’s a hard-nosed winner who’s lifted numerous honours in both league and union, including a World Cup. Joe Schmidt has allied a dangerous attacking style to a dogged defence and improved scrum, and there’s little doubt they have the most complete game in Europe. A Heineken Cup final is new territory for these Ulster players, but they have risen to the occasion more than once already this season – hammering Leicester at Ravenhill and a knocking Munster out against all the odds in the quarter-final at Thomond Park. This will be another step up again and the Ulster fans will no doubt be adding their voice to proceedings at Twickenham – but will that be enough to inspire their team to victory? Ulster will prove stern opposition, but it’s hard to see past the regal Leinster, so I’m saying Brian O’Driscoll & Co will win by six. 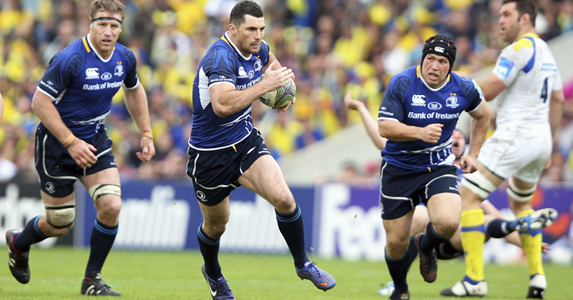 LEINSTER: Rob Kearney; Fergus McFadden, Brian O’Driscoll, Gordon D’Arcy, Isa Nacewa; Jonathan Sexton, Eoin Reddan; Cian Healy, Richardt Strauss, Mike Ross, Leo Cullen (capt), Brad Thorn, Kevin McLaughlin, Sean O’Brien, Jamie Heaslip. Replacements: Sean Cronin, Heinke van der Merwe, Nathan White, Devin Toner, Shane Jennings, Isaac Boss, Ian Madigan, David Kearney. ULSTER: Stefan Terblanche; Andrew Trimble, Darren Cave, Paddy Wallace, Craig Gilroy; Paddy Jackson, Ruan Pienaar; Tom Court, Rory Best, John Afoa, Johann Muller (capt), Dan Tuohy, Stephen Ferris, Chris Henry, Pedrie Wannenburg. Replacements: Nigel Brady, Paddy McAllister, Declan Fitzpatrick, Lewis Stevenson, Willie Faloon, Paul Marshall, Ian Humphreys, Adam D’Arcy.